Battle your way through a bracket of competitors for big prizes. Find a competition that is right for you. Go head to head with your opponents for winner take all stakes. Play when and how you want. Join up and earn XP with every win. Select Ladders showcase Playoffs at the end of the season for big prizes. The latest installment of CheckMate Gaming’s PC challenges Rocket League offers an exciting and fun untraditional competitive gaming option. Enjoy the classic, carefree fun of Mario Carts with the love of soccer for some soccar fun with our latest Rocket League Challenges. Whether professional or just starting out, our challenges offer an option for everyone. Just kicking off its first season here at CheckMate Gaming, we invite players to compete in our latest Rocket League challenge and win some cash prizes. Players can choose from three categories of competitive video gaming including singles, doubles and team competitions in our latest soccar challenges. Updated daily with new challenges, players can enjoy competing in playing games for money and improving their skills no matter the time of day or restricted by their time zone. CheckMate Gaming offers an enjoyable online gaming experience for every level of gamer while testing their skills based off their commitment level. Join in soccar challenges designed by players throughout the gamer, customized to specific playing styles. Want to move from singles to doubles or team play? No problem. Here at CheckMate Gaming, we offer a free agent page to help players connect more efficiently without leaving our site. Centralizing all aspects of gaming, we wanted to allow players to flow from connecting with players to competition in PC challenges for money and prizes without jumping platforms. Our free agent page compiles registered free agents already apart of CheckMate Gaming and organizes them by games on their gaming platform of choice.  Just head over and select Rocket League for under PC and see already registered free agents or click the register button and fill out the quick questionnaire so others can find you. Looking to revolutionize esports, we offer all our challenges at an affordable price. From $6.00 for a single month to as little as $30.00 for 6 months, players can find the price point to fit their budget with exclusive offers for our Elite membership included waiving our 10% winning fee, instant team switch and Elite Only Tournaments. We even offer game credits for you to play on a game-to-game basis if you don’t play consistently with 5 credits offered for only $3.95 with discounts offered for the more credits or months bought together. We value your competitive dollar and the loyalty you show us, allowing us to offer quick payouts than our competition and making their experience more enjoyable. Never has been earning money from competitive gaming been more enjoyable and less stressful. Finding teammates and test your skills all in one place here at CheckMate Gaming, the world’s leading platform for competitive gaming. Don’t be stuck on someone else’s schedule and play when you want with our updated daily challenge opportunities for every level of gamer. Enjoy our PC Rocket League challenges and check out the variety of other competitive gaming opportunities offered on CheckMate Gaming. Sign up for our Rocket League challenges now and help us kick off an inaugural, fun jam-packed season.